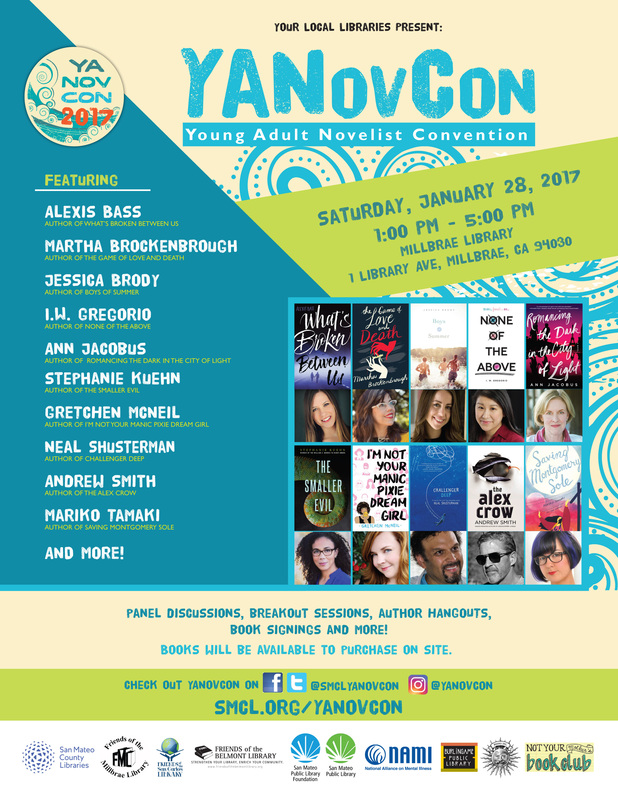 Saturday, Jan 28, 2017 @ 1pm – Millbrae Library, Millbrae, CA: YA NovCon (Young Adult Novelist Convention) with Gretchen McNeil, Alexis Bass, Martha Brockenbrough, Jessica Brody, I.W. Gregorio, Ann Jacobs, Stephanie Kuehn, Neal Shusterman, Andrew Smith, Mariko Tamaki, and More! YANovCon is a Young Adult Novelist Convention organized by Burlingame, Daly City, Menlo Park, Redwood City,San Bruno, San Mateo City, San Mateo County and South San Francisco Libraries. The all day event will include panel discussions, speed dating and book signings with the following YA novelists: Neal Shusterman, Andrew Smith, Jessica Brody, Mariko Tamaki, Alexis Bass, Martha Brockenbrough, I.W. 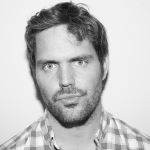 Gregorio, Ann Jacobus, Stephanie Kuehn, Gretchen McNeil and more! Check out #YANovCon on Facebook, Twitter, Instagram, and Vine !